Welcome to the month of March dear Aries, I have a feeling that this is the month where you’ll be stepping deeper and deeper into yourself. As the month begins you’ll find yourself recognising where you want to be more true to yourself and this will create some new changes in your world. Around the 3rd of the month you’ll be prompted to make some new choices, which will support you to become more aware of the unexpressed emotional charges that are sitting deep in your body. On the 7th of the month a feeling to move forward on a project will show up and remind you that you do need to be more present with yourself. I feel that it’s around this time that you’ll recognise a deeper truth about where you are headed and this means it’s time for an even bigger change. Someone in your life will present you with an idea that will have you spending more of your time doing what you love rather than what you think the world wants from you. It will be so important for you to make sure you are feeling free on the 18th of the month as you’ll be able to step into some new possibilities that will support you financially in more ways than I can describe. I feel that you’ll want to resist the changes that take place right in the middle of the month and this is simply because you don’t understand them. I ask of you to be patient at this time and allow life to unfold as it needs to before you go off throwing judgments and demands on life as though it owes you something. Around the 27th of the month you’ll come into a massive clearing and this is when you’ll see that the patience has really been worth your time and the work you are doing to awaken has been more than worth your time, energy and money. There is so much simplicity for you this month dear Taurus and you’ll even find yourself dropping the drama time and time again. Oh finally you’ll see that you don’t actually need the drama when it comes to making your choices and you don’t need the drama in all of your relationships either. You’ll feel to give space to someone in your life around the 5th of the month and truth be told this is the best thing that you can do. 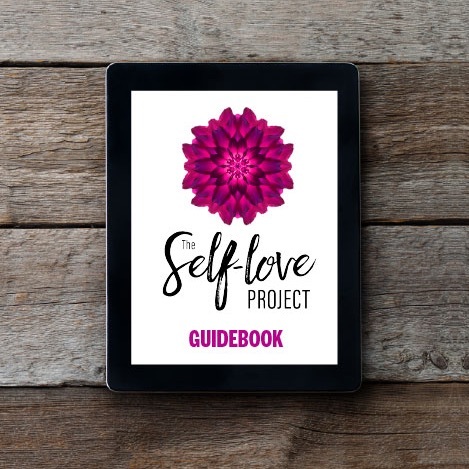 This will teach you that you are not here to change others and that perhaps others are reflecting back to you the parts of yourself that you haven’t yet loved. It’s going to be a massive experience of love for you this month and around the 8th of the month you’ll have a feeling to follow love through a whole new door. This feeling will stay with you for some time and it will become stronger and stronger. Around the 16th of the month a very powerful conversation will enable you to speak up about some untold truths that you have been carrying around with you. These untold truths feel something like a backpack with heavy rocks that you are carrying around for no reason, something which is never worth doing. I feel that around the 25th of the month you’ll be able to take advantage of an offer that shows up for you to become more and more aware of where you are in your life and why you are where you are in your life. Please make sure you take the time to be as present as possible around the 27th of the month as you’ll be on the move to make some pretty big choices in your life. Please also make sure you have your feet on the ground when some very exciting news comes your way and shows you the changes that are about to shake up your world for the better. The month of March will really push you into your power dear Gemini and, well, of course it will as this is the year of power for you. I have a feeling thataround the 3rd of the month you’ll be met with an offer that will truly enable you to be yourself and no longer worry about what the world thinks or who wants what from you. I feel that you’ll be able to grasp a very deep truth about yourself and where you are in your life and you’ll feel so great about it too. A very powerful question comes your way around the 10th of the month and you won’t give up until you have the answer. I feel that the search for this answer is what will enable you to stumble across a deeper truth about the love of your life. It seems that what you once thought was you isn’t you at all and this is when you’ll realise that your body isn’t who you are. I feel that this realisation will really ring true for you as you decide that it’s time to take the attention off your body and place it on the truth of who you are. You won’t be needing anyone’s assistance on the 19th of the month as you finally work out for yourself what you want and how you want to go about it too. Don’t waste your time trying to understand the heart and what the heart loves as this only causes you to strain yourself when you don’t need to. You’ll really kick into gear around the 24th of the month when the great news is delivered to you and you’ll remember what it means to be truly authentic. Speaking of authentic this is the month where you’ll experience a true authenticity in your relationships and you’ll be loving this authenticity. Your perception of the world will shift this month dear Cancer, so much so that you’ll surprise yourself and also those around you. I have a feeling that you are not interested in playing small and this is the month where you’ll realise that you are willing to do whatever it takes to be true to yourself. This being the case you’ll realise that perhaps some of your choices of late haven’t quite been true for you and this is the time where you’ll want to be very, very honest with yourself. Around the 6th of the month you’ll have an opportunity to really open your heart and speak honestly about where you are and about what is really true for you. I know this may be very challenging for you and I also know that it is the best time for you to finally move through this challenge. Around the 11th of the month you’ll be able to express your talent through a whole new form and also from a whole new space. This means that you’ll have the opportunity to live out more of your dreams. I can’t even begin to tell you how important your talent is and the use of your talent is. You’ll be able to move on from a thought that has been bothering you for some time around the 26th of the month and you’ll see that it’s just a thought, and nothing but a thought. Wonderful news comes your way on the 27th of the month and what you do with this news is a sliding door moment so please make sure you are open and honest and very, very present. Put your money where your mouth is dear Leo and you’ll have nothing to worry about, it’s when you keep saying you’ll do something but you don’t that you continue to feel and experience the mistrust in your life. You will be presented with a new idea around the 3rd of the month and it will be very worth your time to explore this idea. However don’t waste your time with all the research, it won’t take you long at all to know if this idea is true for you or not. If you start going into your head with it then it’ll take far too long and before you know it the door will close on this idea. Around the 10th of the month you’ll feel so much appreciation for a love in your life. You’ll be amazed as to how well this love shows up, so much so that you won’t really have the words to express your appreciation but your heart will find a way for you to really show who you are on this day. A very special message comes your way on the 18th of the month and this message will enable you to take the leap of faith that has been in your sphere for, lets say the recent 5 or 6 months. You know you can do it and it’s time to stop asking others if they think you can do it, because their opinion doesn’t change who you truly are. On the 27th of the month you’ll realise that you do need to be more consistent and make sure you are living up to what you are saying, otherwise please stop saying it. As the month comes to an end you’ll really feel to keep moving forward and embrace the challenges that show up, because now you can see that they are truly supporting you. You know better than anyone else dear Virgo that it doesn’t matter where the world is pointing and in knowing this then you need to make sure you stop focusing on what others are saying. There is a feeling in your heart that continues to remind you that you must keep moving forward no matter where the world is pointing right now and never mind what everyone else is saying. It’s a powerful month ahead in the sense that you’ll be able to realise what your heart is saying and you’ll be able to feel the truth of your heart. It seems to me that there is some very powerful guidance in your life at the moment and it’s so important that you are not ignoring this guidance. Please make sure you are clear and ready on the 4th of the month when the door knocks so that you can open it up. On the 10th of the month you’ll need to make sure you are not hesitating no matter the circumstances. You’ll remember to be very soft on the 26th of the month as you realise that being closed and hard isn’t going to work for you. I feel that there is a very deep love in your heart that you are yearning to express and it won’t happen when you are closed off. A new reminder of how to embrace the moment will show up for you around the 19th of the month and you’ll see that you are being supported all the way. I feel that you are not going to give up and you are not going to allow any of the challenges in your life to get the better of you. Around the 25th of the month you’ll make a decision in your life about not giving up with all of your might. And this decision will open new doors for you in your financial world right at the end of the month, enjoy it. Your ability to express yourself will show up profoundly this month of March dear Libra, so much so that you’ll find yourself feeling freer and freer. I have a feeling that around the 7th of the month you’ll be amazed as to how your manifestation shows up and you’ll feel very powerful. Please remember that you are not your body so that you know not to take it personally and you know that who you truly are is energy. I know this is not easy to comprehend but it feels to me that it’s about time you really live from this space. I feel that around the 17th of the month you’ll come across some pressure and I can only remind you dear friend that this pressure is here to support you. It’s up to you though whether you choose to allow it to support you or to take you down. I have a feeling you’ll be done with a part of your history around the 23rd of the month thanks to what you manifest in your world that will support you to move on from this history. Someone in your life will enable you to see a door that is wide open around the 25th of the month and you’ll feel free to walk through this door. Please make sure you remember that in order for you to walk through this door it has to be completely true for you. If you are not being authentic then you won’t be able to walk through this door, when you remember this then you’ll be able to release what isn’t true for you. You’ll find more presence in yourself this month dear Scorpio, so much so that you’ll be surprised with yourself and some of the actions you take. You’ll feel well on your way on the 3rd of the month as you come into some new insights that will remind you to lighten up and show you that it’s so much easier than you had ever known it to be. I feel that you will finally come to a way of life around the 13th that will enable you to do more of what you love and this means that you’ll also choose to no longer be attached to how things will show up. I know that sometimes you may wonder about the ‘how’ and it feels to me that your days of wondering about the ‘how’ will come to an end this month. You’ll notice a gift that comes your way on the 15th of the month and you’ll be so delighted to receive this gift. A feeling to settle into the moment will move through you around the 18th of the month and you’ll feel to unpack your bags and just be in the moment that shows up for you. There will be some very open and powerful conversations this month and you’ll find yourself really setting up to create more space. A big purchase will become an opportunity for you this month and you’ll feel that you are ready for this, and finally there won’t be anything standing in your way. Great news hits you right at the end of the month and proves to you that life has been supporting you all along. You won’t stop yourself from following what you know is true for you this month dear Sagittarius and the beautiful thing is that you won’t get caught up in your circumstances this time. I have a feeling that this month you’ll let go of wanting to prove anything to yourself and this is when your powerful manifestations begin to show up with ease and grace. You’ll find yourself rather grounded around the 7th of the month and the opportunity that comes your way on this day will surprise you more than words can express. I have a feeling that you’ll really know what is true for you around the 17th of the month and this means that there will be some bigger changes in your life. An old emotional charge will be released around the 21st of the month and you’ll find yourself realising that the power you hold is in the moment. You’ll realise that you have more power than you could have ever anticipated and this is when the doors open even wider for you. In fact, forget the doors I have a feeling that the gates will be opening wider and wider. On the 27th of the month you’ll be able to see one of your manifestations come through with so much ease, so much so that you’ll finally drop all the questions and go with your heart all the way. You’ll realise very early this month dear Capricorn that you have the choice to either fall for the story or to rise out of the story. You’ll manifest a few situations that will support you to see that you do have a choice, you always have a choice. The doubt that has been sitting in your body for some time will be released around the 7th of the month and you’ll feel so much lighter and see that there is no need for you to carry the doubt. A few new questions will arise for you around the 13th of the month and this time you’ll have the capacity and presence to be able to sit with these questions rather than run away from them. You are changing so much these days as you continue to rise up to the opportunities that you manifest yourself. I have a feeling that you’ll be able to shift your perception on finances around the 17th of the month and this is when your financial world begins to change for the bigger and better. You won’t really be able to express how you feel on the 21st of the month and I want to remind you that this is ok, just be patient at this time. You’ll feel that you are ready to play life from a whole new level around the 24th of the month as you’ll recognise your unlimitedness and this will be such a powerful moment for you. As the month comes to an end you’ll feel that you are ready to take the leap that has been staring you in the face since some time late last year. This is a very powerful month for you dear Aquarius as you come to realise more and more that you are the one manifesting your word. I have a feeling that it’ll be very early in the month where you’ll see that you want to take full responsibility for your entire being and you will. This is when the turnaround takes place for you and when you’ll be able to see the illusion for what it really is. A few insights around the 17th of the month will remind you that you are right where you need to be and that there is nowhere else for you to be right now. There are some very profound experiences that await you and as soon as you realise that you are in judgment then you’ll be able to meet with these experiences. You will be able to see the truth of how you have manifested the relationships that you have in your life and why they are the way that they are. This will be so powerful for you as it will enable you to see parts of yourself that you haven’t ever been able to see. I feel that somewhere around the 24th of the month you’ll be on your knees with gratitude for having been able to manifest your life as you have. Around the 27th of the month you’ll be reminded that the more serious you become the more difficult life becomes and this is a moment where you’ll have the opportunity to really laugh at yourself. Remember that when there are issues they are just in your head and when you remember this then you’ll have the opportunity to be in your heart. You won’t be able to work anything out with your head because the truth is that nothing needs to be worked out. You are in your element this month dear Pisces as you have chosen to integrate your insights and realisations that you’ve collected over the recent months. I feel that you’ll be able to see yourself from a new space this month thanks to the commitment you make to your truth. It feels to me that you have chosen to rise above a story in particular that you have perhaps battled with for most of your time. You’ll realise that the battle isn’t something that you’ll ever win and instead you’ll push through with love and kindness. There is a very special surprise that shows up for you on the 5th of the month and you’ll notice yourself falling more and more in love from this point on. The news that comes your way on the 9th of the month will enable you to take the leap of faith that is before you at this time. Someone very special shows up around the 10th of the month to share more of their heart with you and this is when the surprise of a lifetime takes over. I feel that around the 19th of the month you’ll be able to take advantage of an offer that is put on the table for you and is also financially very rewarding. Finally you are ready for the financial rewards and this is a time where you’ll see that you have matured so much. A feeling to awaken on a deeper level will come your way on the 21st of the month and you’ll notice that you actually do awaken on a deeper level at this point. On the 28th of the month you’ll be ready to make the move you have been yearning to make and the world will become a whole new place for you.